Norwegian will be flying some of its Boeing 737-800 Max planes out of Stewart airport in New York State in June 2017. Norwegian, the World’s Best Low-Cost Long-Haul Airline and Europe’s Best Low-Cost Airline, y launched its first nonstop transatlantic flight from Stewart International Airport to Edinburgh Airport in Scotland. This is the first of five routes that will operate from the airport. The airline’s other routes to Ireland, Northern Ireland, and Norway will launch in July. Stewart International Airport will also be the home of Norwegian’s newest crew base – its third in the United States. The airline will station two Boeing 737 MAX aircraft and 30 pilots and flight attendants at the Orange County airport to accommodate the new service offering, with plans to hire additional crew later in the year. As the second-largest employer in the Hudson Valley region, Stewart International Airport employs approximately 2,700 people and generates $450 million in annual economic activity. With this new air service, the estimated total economic impact is expected to result in the creation of an estimated 230 jobs per year, $13 million in total wages and $36 million in overall economic activity. Norwegian’s new flights to Edinburgh will operate daily during the summer and three times per week (Tuesdays, Thursdays, and Sundays) during the winter with fares currently available at Norwegian.com/us for as low as $99 one-way, including taxes. The lowest fares to Scotland and all of Norwegian’s destinations can be found by using the airline’s low-fare calendar. Additionally, passengers on all of Norwegian’s routes are eligible to join Norwegian Reward, the airline’s frequent flyer program and can earn CashPoints every time they fly, stay at a hotel or drive a rental car. 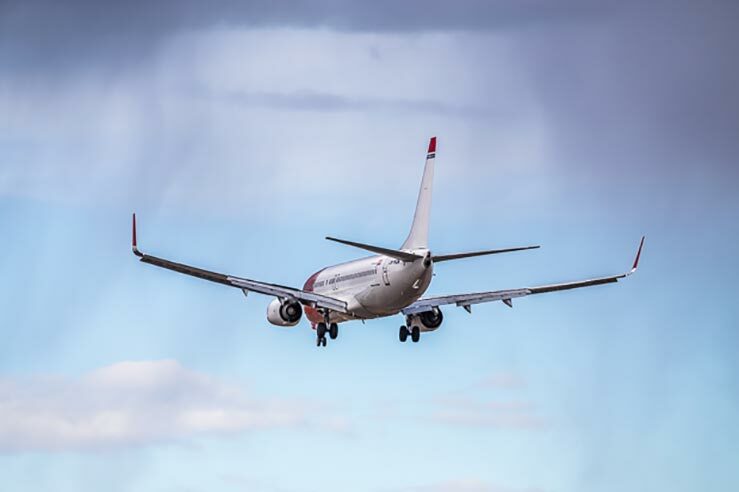 Overall, Norwegian now offers 52 transatlantic flights from 13 U.S. airports to Denmark, France, Ireland, Italy, Norway, Spain, Sweden and the United Kingdom, as well six routes to the French Caribbean, totaling 58 routes out of the United States. Upcoming 2017 launches from the U.S. include: Providence to Edinburgh (June 16), Hartford to Edinburgh (June 17); Newburgh/Stewart to Belfast (July 1); Newburgh/Stewart to Dublin (July 1); Providence to Belfast (July 1); Providence to Bergen (July 1); Providence to Cork (July 1); Newburgh/Stewart to Bergen (July 2); Newburgh/Stewart to Shannon (July 2); Providence to Dublin (July 2); Providence to Shannon (July 3); Orlando to Paris (July 31); Fort Lauderdale to Barcelona (August 22); Denver to London (September 16) Seattle to London (September 17); Providence to Guadeloupe (October 29); Providence to Martinique (October 30); Newark to Rome (November 9) and Los Angeles to Rome (November 11). Upcoming 2018 launches from the U.S. include Oakland to Rome (February 6).